The Cambridge team visited Oxford last week. Whilst there won’t be anything of a technical nature in this post, it is worth acknowledging that building and developing a core team for sustainable digital preservation is just as important a function as tools and technical infrastructure. One of the first reactions we get when we talk about DPOC and its collaborative nature between Oxford and Cambridge is “how on earth do you get anything done?” given the perceived rivalry between the two institutions. “Surprisingly well, thank you” tends to be our answer. Sure, due to the collaborative (and human) nature of any project, there will be times when work doesn’t run parallel and we don’t immediately agree on an approach, but we’ve not let historical rivalry get in the way of working together. To keep collaboration going, we usually meet on a Wednesday huddled around our respective laptops to participate in a ‘Team Skype’. As a change from this, the Cambridge people (Dave, Lee, Somaya, Suzanne, and Tuan) travelled over to see the Oxford people (Edith, Michael, and Sarah) for two days of valuable face to face meetings and informative talks. The Fellows travelled together; knowing we’d be driving through the rush hour on an east to west traverse, we left a bit earlier. What we hadn’t accounted for was a misbehaving satnav (see below), but it’s the little things like this that make teams bond too. We arrived half an hour before the start for an informal catch-up with Sarah, Edith, and Michael. Such time and interaction is very important to keep the team gelled together. 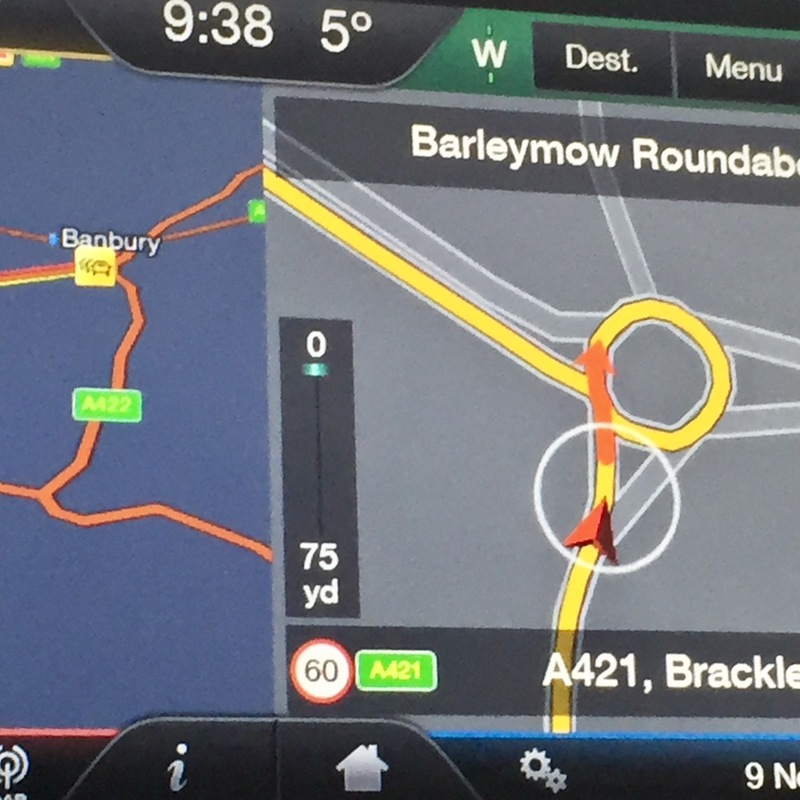 Satnav misbehaving, complicating what is usually a simple left turn at a roundabout. Image credit: Somaya Langley. A team meeting in the Osney One Boardroom formally started the day at 11am. It continued as a working lunch as we had plenty to discuss! We then had a fascinating insight into the developers’ aspects of how materials are ingested into the ORA repository from Michael Davis, followed by an overview from Sarah Barkla on how theses are deposited and their surrounding rights issues. Breaking for a cup of tea and team photo, the team then had split sessions; Sarah and Lee reviewed skills survey work whilst Dave, Edith, and Somaya discussed rationale and approaches to collections auditing. Thursday saw the continuation of working in smaller teams. Sarah, Lee, and Michael had meetings to discuss PASIG 2017 organisation details. Dave, Edith, and Somaya (later joined by Michael) discussed their joint work before having a talk from Amanda Flynn and David Tomkins on open access and research data management. Lunchtime heralded the time to board Oxford University’s minibus service to the 14th century Vault Café, St Mary’s Church for a tasty lunch (communal eating and drinking is very important for team building). We then went to the Weston Library to discuss Dave’s digital preservation pattern language over cake in the Weston’s spectacular Blackwell Hall and then on up to the BEAM (Bodleian Electronic Archives and Manuscripts) Lab (a fantastically tidy room with a FRED and many computers) to see and hear Susan Thomas, Matthew Neely, and Rachel Gardner talk about, show, and discuss BEAM’s processes. From a recordkeeping point of view, it was both comforting and refreshing to see that despite working in the digital realm, the archival principles around selection, appraisal, and access rights issues remain constant. 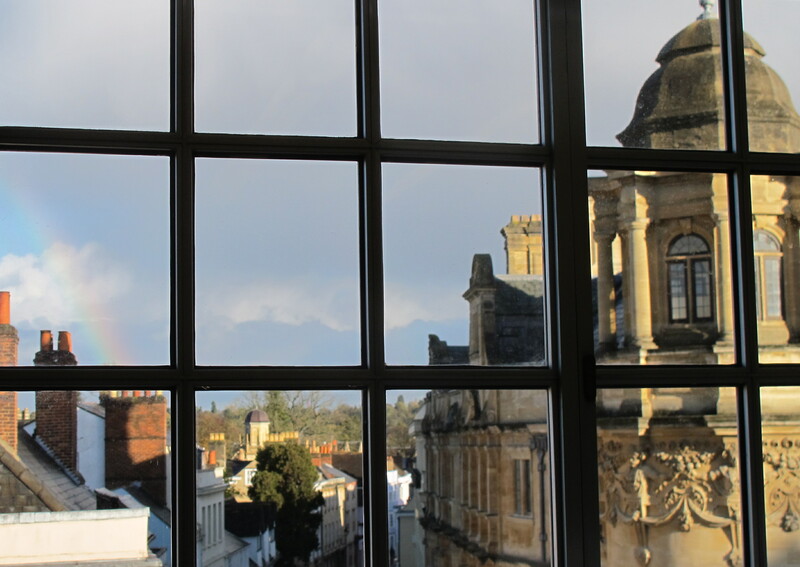 The end of the rainbow on the left as viewed from the BEAM lab in the Weston Library. Image credit: Somaya Langley. The mix of full team sessions, breaking into specialisms, joining up again for talks, and informal talks over tea breaks and lunches was a successful blend of continually building team relationships and contributing to progress. Both teams came away from the two days with reinforced ideas, new ideas, and enhanced clarity of continuing work and aims to keep all aspects of the digital preservation programme on track. We don’t (and can’t) work in a bubble when it comes to digital preservation and the more that we can share the various components that make up ‘digital preservation’ and collaborate, the better contribution the team can make towards interested communities. 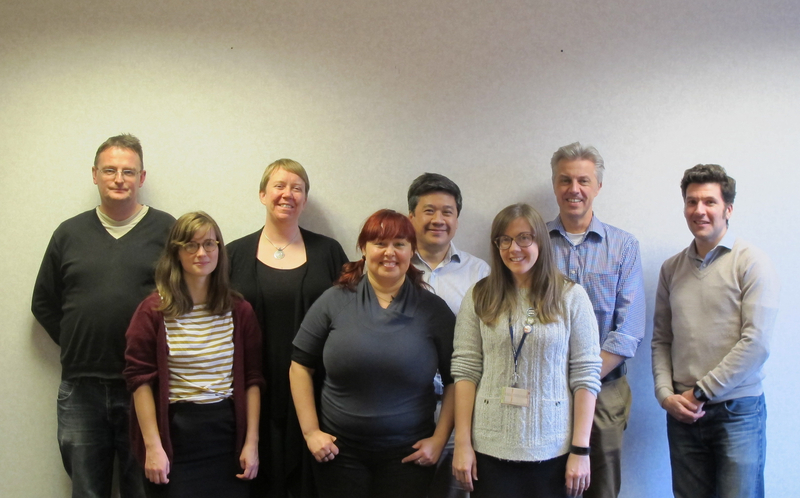 The DP0C team assembled together on day one in Oxford. This entry was posted in collaboration, digital preservation, project update by ljp. Bookmark the permalink.